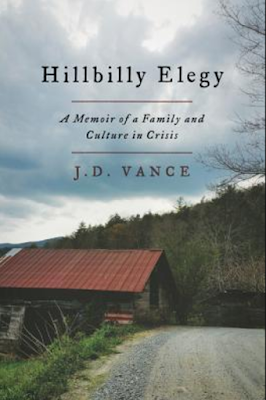 Hillbilly Elegy is a memoir of growing up in Appalachia. This is a wonderful book, very well written. The author credits a few people with encouraging and motivating him to get out of a cycle of poverty. He went to college, completed law school and has a successful career.